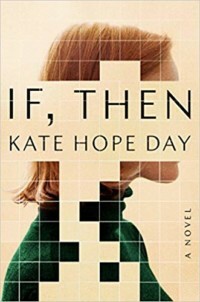 Kate Hope Day has woven several thought-provoking strands into this story about possibilities. She delves into philosophy, domestic struggle, environmental science, conspiracy theories, and quantum physics while developing captivating characters and an engrossing story. The book is set in the community of Clearing, Oregon: a town not too dissimilar from Corvallis, and it explores the interlocking lives of four neighbors and the possibilities their lives and decisions represent. They begin to see phantasms, specters of themselves, possibilities of alternate lives they could have lived, or maybe even do concurrently live in a different reality. The best kind of books, as far as I’m concerned, promise even more on a second reading, which this one does.